Under the banner of Bhartiya Kisan Union, farmers gathered at Barnala's grain market, protesting against the state and central government for allegedly harassing paddy growers in Punjab. CHANDIGARH: Scores of farmers Saturday held a demonstration at Punjab's Barnala district, asking the government to come out with a viable solution for stubble burning. Under the banner of Bhartiya Kisan Union (BKU), farmers including women gathered at Barnala's grain market, protesting against the state and central government for allegedly harassing paddy growers in Punjab. They demanded the government give farmers Rs 200 per quintal as the bonus for the management of crop residue if it failed to propose a viable solution for stubble burning problem. "The government should come out with a proper solution for stubble burning problem or else give us Rs 200 per quintal as a bonus for the management of crop residue," said BKU (Ugrahan) general secretary Sukhdev Singh Khokrikalan. They sad by using farm machinery, only 9 per cent of the stubble which comes around 20 lakh tonne out of 220 lakh tonne can be managed, said Khokrikalan. He said farmers were being unnecessarily defamed over stubble burning issue. 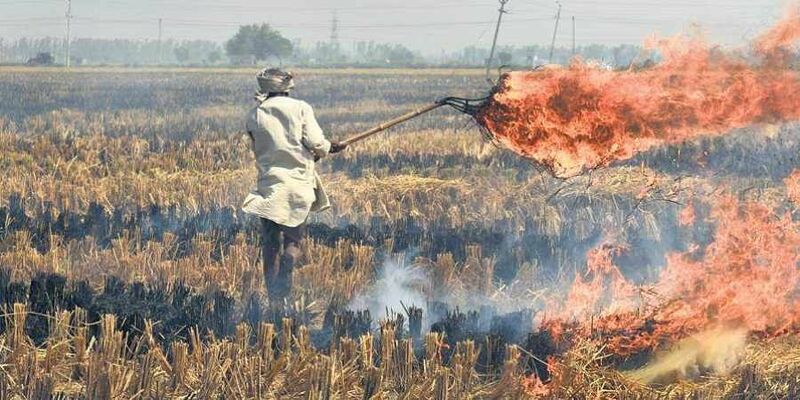 "Stubble burning causes only 8 per cent of air pollution and only paddy growers are being blamed for causing environmental pollution. But nobody speaks about those who cause 92 per cent of pollution," he further said. Farmers also accused private farm equipment companies of making the profit by hiking the cost of machinery. "Farmers do not want that they should burn the stubble as it causes environmental pollution. But they have to do so in the absence of any workable solution to the problem," he said. Punjab and Haryana annually generate 220 and 65 lakh tonne of paddy stubble, respectively.